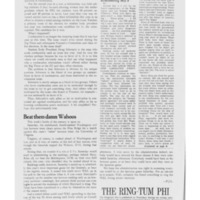 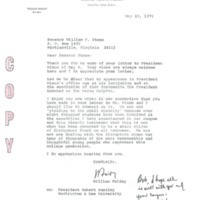 A letter to the editor in which the dismissal of Professor Henry Sloss is compared to Nixon's watergate scandal and the expulsion of Solzhenitsyn from the Soviet Union. 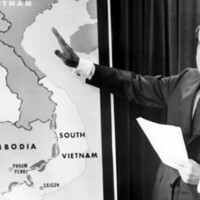 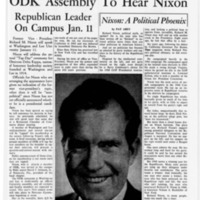 A brief review of Nixon's political career and campaigning in the run up to the 1968 presidential election. 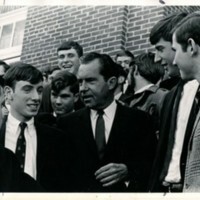 Photograph shows Nixon visiting with Washington and Lee students during his May 1968 appearance at Mock Convention.